Travel Leasure & Fun Holidays is a family owned Bhutanese company with the executives having extensive experience in the tourism industry. The company is licensed by the Tourism Council of Bhutan in 2003, which is the regulatory & monitoring agency of the Royal Government of Bhutan for tourism sector. Travel Leasure & Fun Holidays is an active member of ABTO (Association of Bhutanese Tour Operators) and is one of the leading Destination Management Companies in the country that enjoys a high reputation of providing reliable, personalized and professional services. Travel Leasure & Fun Holidays strictly adheres to the tenets of ‘Responsible Tourism’ and has dedicated team of people to handle special interest and incentive tours including special category of people who are physically challenged. With an experience of more than twelve years in the travel industry, the company is committed to delivery of services to the highest standard and quality where our services are professional, comprehensive and personalized. Dipendra Giri (Mr.) is the Director of the company. He holds a Masters of Management degree from the University of Canberra, Australia and a diploma in Sustainable Tourism Management from the Maastricht School of Management from the Netherlands, besides his graduate degree in political science from the University of Delhi. He has undergone various specialized and intensive management courses related to travel & tourism abroad. Apart from these qualifications he has been associated in the travel & hospitality industry for more than two decades. 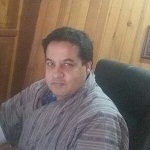 Having an extensive idea and commendable knowledge on versatile aspects of client servicing in the tourism sector, he also enjoys a great deal of popularity among people involved in the industry, making him one of the most resourceful person involved in the tourism industry in Bhutan today. 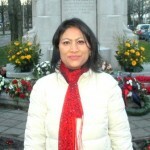 Kusum Chhetri (Ms.) has her Masters Degree in Ecology & Environment. She is the General Manager of the company and is responsible for the entire tour operation of the company. Besides her master’s degree, she also has undergone a lot of hospitality trainings both in the country and abroad. With her broader exposure and experience in the subject, she has been instrumental in conducting operations of the company in line to the tenets of responsible tourism. Currently she is undergoing training for Export Coaching Program in Tourism from the Centre for the Promotion of Imports from Developing Countries (CBI), Ministry of Foreign Affairs, Government of The Netherlands (2013-2017).